Rain lashes parts of Delhi, 10 trains towards Capital city running late today due to low visibility conditions: Waterlogging was reported near the INA market, Vijay Chowk and seral other places, but it didn't affect traffic since it was early morning, reports said. 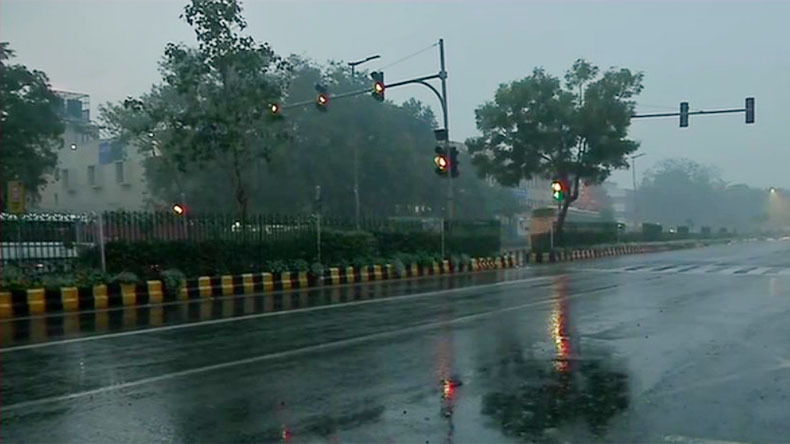 Rain lashes parts of Delhi, 10 trains towards Capital city running late today due to low visibility conditions: Delhiites today (Thursday) woke up to pleasant morning as rain lashed parts of the Capital city bringing much respite from air pollution. As many as 10 trains towards Delhi were running late today due to low visibility conditions. However, the temperature didn’t plummet swiftly in the city that was reeling under cold wave conditions. It was pleasant. Earlier, the India Meteorological Department (IMD) had predicted hailstorms for the day. It said the sky will remain generally cloudy with light rain or drizzle during the day. Waterlogging was reported near the INA market, Vijay Chowk and seral other places. Patparganj, Trilokpri, entire Mayur Vihar, Vasant Kunj, Noida and Greater Noida received scanty rainfall. However, it didn’t add to the woes of commuters in the early morning. Strong winds hit parts of Delhi this morning, reports said. Skymet Weather has predicted that on Valentine’s Day (February 14) Delhi-NCR will witness intense spells of rain and thundershowers with isolated hailstorm activity. It also said that light scattered rains are likely to continue over the NCR region till February 15. As a result, the temperature is likely to drop by 2˚C to 4˚C, while the maximums will again start increasing February 16 onwards. On Thursday, Noida Expressway looked like a snowy town as the roads and highways were covered in hailstones. Reports said Delhi and neighbouring areas witnessed such heavy hailstorm that accompanied the evening rain after nearly a decade. On Wednesday the minimum temperature was settled at 11.4 degrees Celsius while the maximum temperature was likely to hover around 24 degrees Celsius. Meanwhile, Jammu and Kashmir has witnessed respite from cold wave conditions following overcast skies in the valley and forecast of another spell of rain and snow later and on Thursday.